Like Divjaka-Karavasta National Park even the Lake of Shkodra in north-western Albania has turned into a main tourism destination for birdwatchers. Besides its reach cultural heritage, Shkodra and its surrounding area is home to more than 280 out of 330 species of birds found in Albania. They have turned the mouth of Buna River into their natural habitat. It seems that after the destruction of illegal hunting blinds, this area has become safer not only for water birds but also for other species. 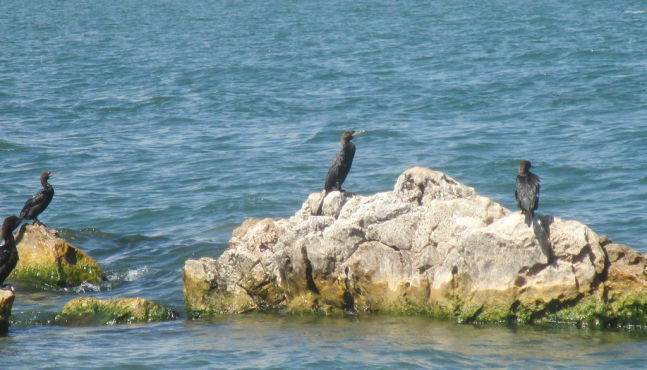 Shkodra Lake is a habitat that comprises over 30,000 nesting and winter birds. In the wet season the habitat covers an area of 540 square kilometres, thus turning into the largest in the Balkans. Shkodra Lake is included in the Ramsar list of wetlands of international importance for birds and other species. Aquatic plants, reed grass and water lilies create a suitable environment for birds like bajza, barn swallows, and heron to make their nests. Birdwatching in Shkodra region may turn into one of the most attractive activities in tourism guides in Northern Albania.